Owl’s Hollow lettuces, Hamm Farm quick-pickled beets, Heron Hollow Farm radishes and Stone Hollow Goat Cheese. Homemade Lime Caesar Dressing, Parmesan Cheese and Croutons. Toasted Pistachios, Feta and Balsamic Vinaigrette. Grilled Flank Steak with Owl’s Hollow Spring Lettuce mix, crumbled Blue Cheese and Back 40 beer vinaigrette. 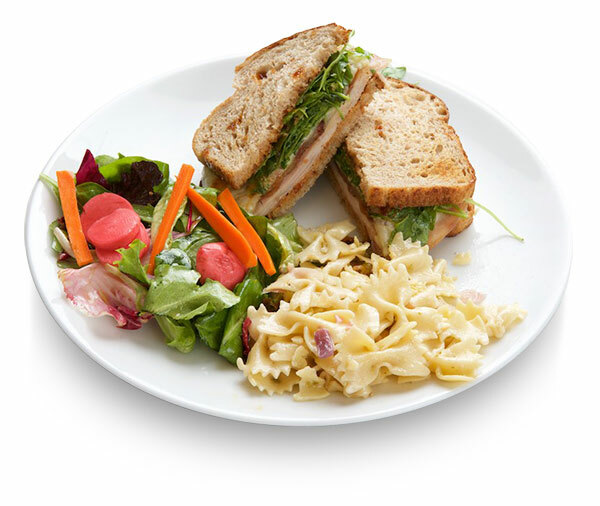 All sandwiches served on Multi-Grain, Croissant or Wheat with side salad and choice of chips, more side salad, fruit, farro salad, pasta salad or potato salad. with House-smoked BBQ chicken with homemade white sauce and Hamm Farm Collard Slaw. with Provolone, Alecia’s Tomato Chutney and Arugula. with Hamm Farm Collard Slaw. with Local farm vegetables, Goat Cheese and Red Pepper Sauce. with Avocado, Marble Creek bacon, Owl’s Hollow lettuce and Tomato. We proudly serve local Alabama farmer’s ingredients whenever possible.